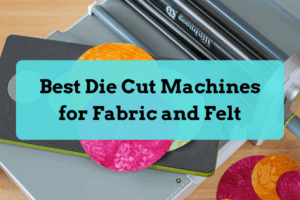 If you are working with your Cricut cutting mat, you’ll quickly realize how tricky it can be lifting detailed designs from the mat without tearing the material. 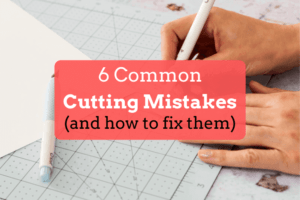 Cricut has some tool accessories to help you pull and pluck designs from that sticky cutting mat, and even make your cutting mat last longer. We hope you find this Cricut Tools review helpful. Each tool comes with a different colored end piece, allowing the tool to be hung from your craft bench. If you have the Cricut Explore, all these tools can be perfectly stored in the hidden storage compartment of the machine. The Cricut Scissors are made with hardened stainless steel blades, which creates for even cuts while remaining durable. The Scissors are really sharp and come with a mico-tip blade, so working on the fine details in smaller areas is easier and clean right down to the point. It also has an interchangeable, protective, colored end cap, which allows the Scissors to be stored safely. The Cricut Weeder makes working with vinyl and iron-on a cinch. The vinyl and iron-on setting both give you a kiss cut. A kiss cut is when the blade just cuts the top layer of the material and leaves the backing sheet uncut. Use the tip of the Weeder to separate and remove negative cuts from the backing sheet. When removing larger, negative sections of material, you can even use the curved section to keep intricate cuts in place. The Weeder is also great for poking out tiny negative pieces from a cut cardstock image. The Cricut Tweezers are designed with a reverse grip feature, so they lift and secure in one step. Squeeze the handle to get it to open, and release pressure to clamp together. Use them to pick up small embellishments and to secure projects as adhesive dries. One complaint about the tweezers is that they have too much pressure, so you have to be careful when picking up the more delicate pieces. The Cricut Scaper is custom designed to scrape and clean scraps from your cutting mat. Cleaning the mat helps keep the mat working properly. The Cricut Spatula is used to precisely lift images from the cutting mat. First, remove all negative material from the cutting mat, then use the angled head of the spatula to slide under the material with ease, preventing tearing or curling. The Spatula may not work as well on thinner materials, as the Spatula can be too thick. The Cricut Basic Tool Set has a variety of tools to make working with your die cutting projects easier. At the very least, you’ll want some tools to pull your designs safely off your mat and something to clean the mat with. You can buy these Cricut tools individually from Cricut.com, or save some money and purchase them all together. What do you think of the Cricut Tool Set? What is your favorite Cricut tool? Let us know by leaving a comment!